Student and teacher speakers at Wednesday night’s board meeting raised their concerns about the school redesign process that the district administration has initiated at five Oakland schools. 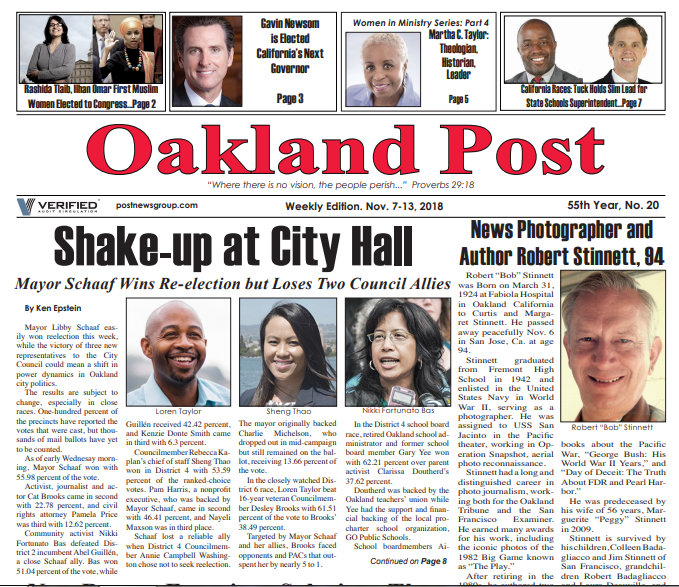 In interviews with the Oakland Post, school board members also discussed the process that is now getting under way. Fremont senior Rosa Contreras said, “I do not believe Fremont should be labeled a failing school. You don’t even know us. I want to see the money (promised two years ago) start going to our school now – not later – now. District 5 Boardmember Roseann Torres said that she was deeply impressed with the leadership exhibited by the students at Fremont High at the community meeting she attended last week and urged the district support the students. She said that the unity between Latino and African Americans students was wonderful to see, that the racial divisions exist in Oakland are more about the attitudes of adults and based on the past. In addition, Torres said she does not want to hear any more reports of administrators taking students outside and trying to intimidate them into not speaking their minds at these community meetings. “I think this (process) is a bit rushed, and it’s a big shock” coming so soon after the school bond Measure N passed in November, she said in an interview with the Post. “This is based on the community. This is not about a top-down decision telling the community what’s best for them,” Harris said. The district administration is “acknowledging the needs of each school site,” he said. “What’s good for one site” is not necessarily good for another one. “I’m not going to vote for what the community doesn’t want,” Harris said, pointing that some charters work because they have grassroots buy-in. “There are charters that work and charters that don’t,” he said. Shanthi Gonzales, who represents District 6, said she is looking forward to the seeing administrative regulations that will govern this process. “Those are the details about how this process will be carried out, and what I’m especially interested in is transparency. I feel strongly that there should be community representation on the Academic Review Panel that recommends proposals to the board, so that the public is part of the deliberation and sees how these decisions will be made,” she said.